3 piece set consisting of 3, 5 and 7.5m tapes, each with belt clip and locking button. Power return blade has metres into cm/mm and feet into inches, 1/8", 1/16" and 1/32". Stud centre markings every 16". 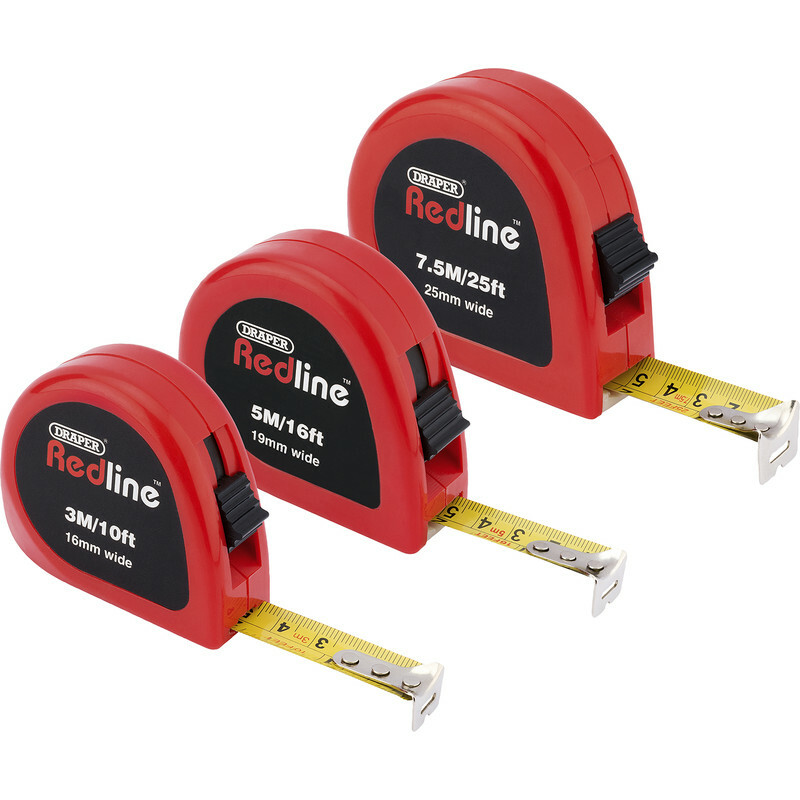 Draper Pack of Tape Measures (3 Piece) is rated 3.0 out of 5 by 1.